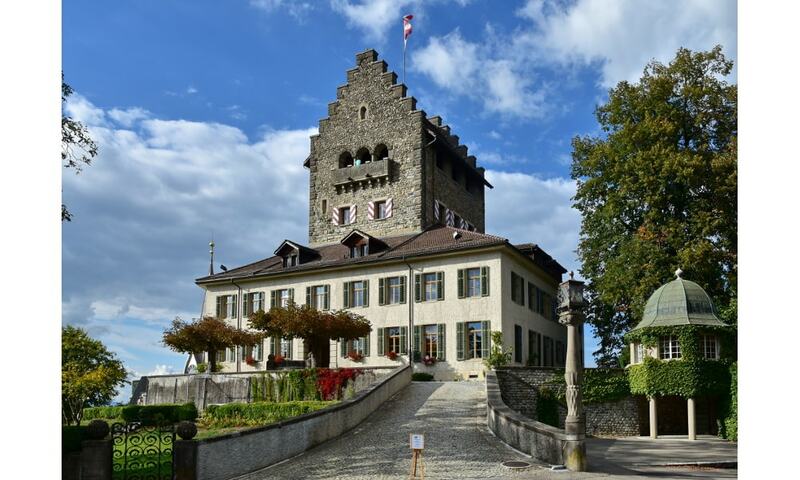 Uster Castle is a hill castle which was built probably around 1200 by the House of Rapperswil, Since 1995 it houses a boarding school. To take care of the tower's "inhabitants", the public access is limited: From July to the end of October, the castle's tower may be used as vantage point overlooking the Glatt Valley and the Greifensee lake shore towards the Pfannenstiel-Forch mountain chain; guided tours of the weapon chamber and the Knights' Hall are also held. There are separated entrances to the school and to the castle's tower. The tower of the castle is home to a colony of regularly breeding Jackdaws, in Switzerland an endangered bird species. That is one reason why the access to the tower is limited.